When I was first contacted to check out the new American Express Pre-Paid Card for my blog, I was bit perplexed as to how it related to the work that I did and my audience. After all, I typically consult people on how to shift into careers that are in line with their passions and values. A financial blogger, I am not, lol. And I don’t typically review items that I don’t believe are relevant or valuable to my business. But after investigating the product and seeing all of the functionality associated with it, it became very clear how a product like this could be used by career shifters and those wanting to start a new business of their own. Throughout the week, I will detail just how that can be done. What struck me initially was how easy it was to order and load the card. I went online and filled out a quick application and selected how I wanted to load my card. This is the part that I loved the most – you can load the card with funds from your account OR you can load the card with cash! I like this option because this is one less place that I have to reveal my personal banking account information. When I received my card, I chose to load my card with MoneyPaks (which can be purchased at major retailers). With a MoneyPak, you can load the card online with the information provided by the MoneyPak. There are benefits to loading the account using bank funds which includes automatic reloads set-up for specific intervals. So, if you know that you want to load a specific amount to the card each week, you can set it up to do that. I like how the card comes with many of the benefits associatd with an American Express credit card, except the card has no fees. 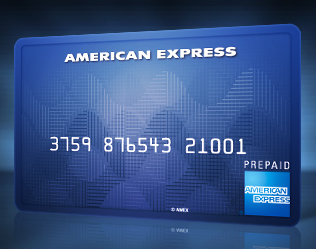 If an eligible item is purchased with the card is accidentally damaged, or is stolen, American Express can reimburse you up to 90 days from the date of purchase. That’s awesome! Later this week, I will share how I’ve used the card for my business and how career searchers can benefit from using the card as well – both those starting a small business and those looking for new careers. FTC Disclaimer: Funds were provided to load on the American Express Prepaid Card for reviewing purposes. Yay, I love these features, too.